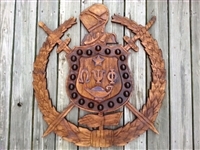 This is remake of Bro.Robert Campbell's shield. If yours is in distress, it can be remade, just like this! Original is atop.